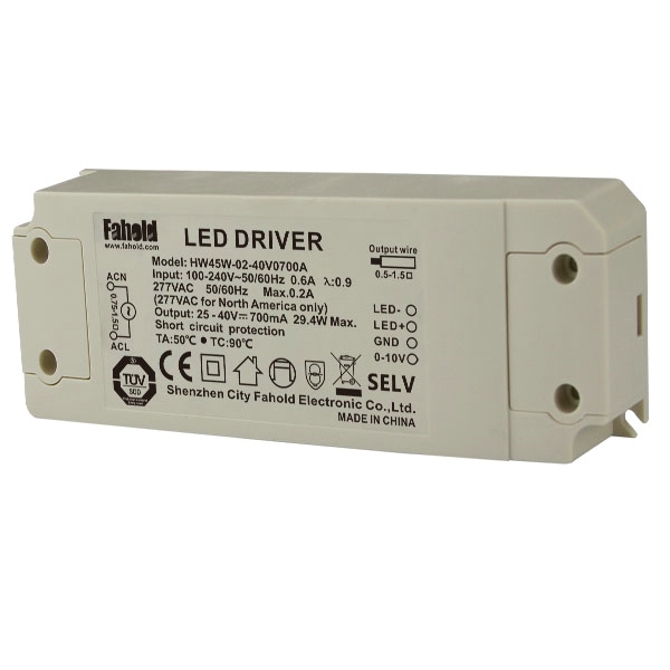 The highly efficient dimmable drivers are able to regulate current that flows through LEDs and can integrate into already existing circuits in order to extend the life of the LEDs themselves. This dimming functionality is found in a number of different popular applications that you may already be familiar with, such as: theatrical lighting, security lighting, signage, sensors as well as decorative and interior lighting. HW45W-02, Flicker free 0-10V dimmable, AC-DC 0-10V dimming Driver ;Desigen for high lumen led Downlights, Europe market application. Energy saving driver. Its housing was made out of Hard shell, independent design for the output connection structure, suitable for Europe market. Looking for ideal LED Retrofit Power Supplies Manufacturer & supplier ? We have a wide selection at great prices to help you get creative. All the 0-10V - Lutron are quality guaranteed. 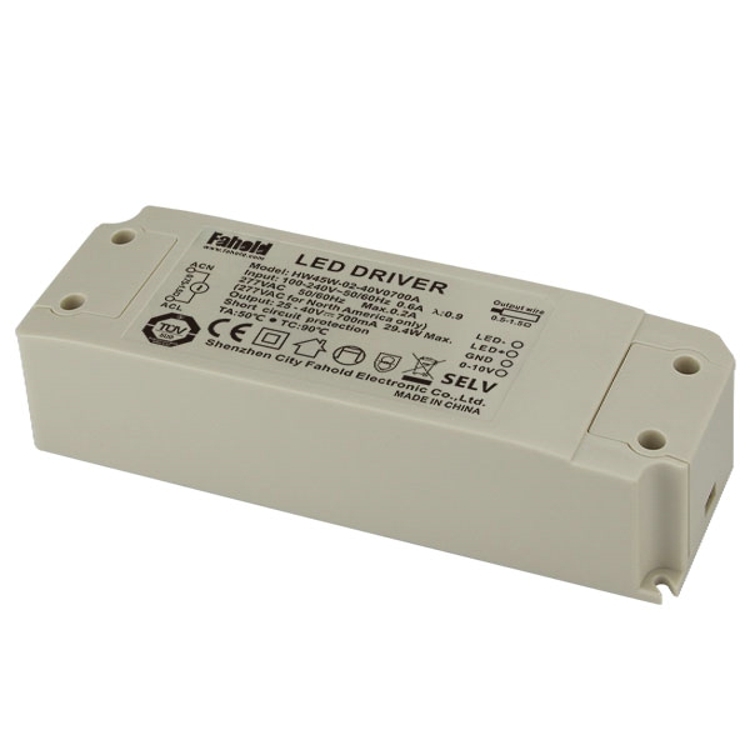 We are China Origin Factory of AC-DC 0-10V Dimming Driver. If you have any question, please feel free to contact us.